In September, The Touring Network worked in partnership with the National Theatre of Scotland and Imaginate, and the Theatre in Schools Scotland initiative, to bring a tour of two award-winning, internationally recognised Scottish productions to primary schools in Ullapool and Portree, as well as Sleat on the south end of Skye. ‘Theatre in Schools Scotland has been established to support and develop the provision of theatre in Scotland’s schools, with the ultimate aim of ensuring that every child in Scotland receives – at their nursery or school – a minimum of one performing arts production, per year, as a core part of their education. We are very keen to continue this partnership, which is a great opportunity for Touring network promoters to develop their audiences, and we are excited about how we can support this partnership initiative through our Network. We would like Promoters who are interested in developing deeper engagement with their communities through promoting performances for primary schools to get in touch with us. The engagement process will be supported through the partnership work. 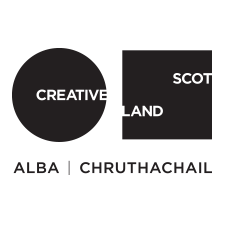 Theatre in Schools Scotland are also keen to gather feedback from every Headteacher in Scotland about the initiative and the thirst for live performing arts performances in their schools. They have therefore devised an online survey, and would be grateful to anyone with school contacts for sharing the link. Further information about the initiative, and an introductory email to send to your school contacts can be found here.